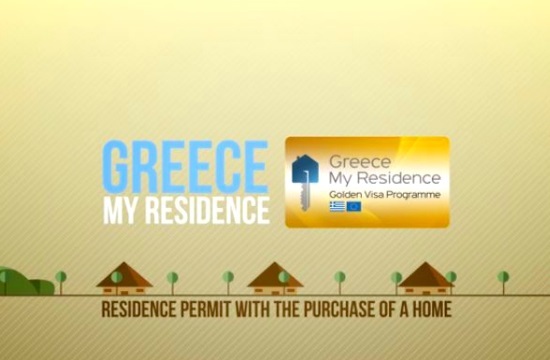 The residence permits issued last year to citizens of countries outside the European Union who bought properties for at least 250,000 euros each grew 46 percent from 2017, according to the latest data from the Migration Policy Ministry, ekathimerini.com reports. From the launch of the so-called Golden Visa program until the end of 2018 a total of 3,892 permits were issued, of which 1,399 were handed out last year, up from 961 in 2017. During the first quarter of this year another 262 permits were issued, for a total of 4,154 investors benefiting from the program up to the end of last week. Chinese investors dominate the program’s statistics, as they account for 58 percent of the residence permits, or 2,416, with their share constantly on the rise: Of the 1,665 Golden Visas issued since January 2018, 1,300 regarded Chinese property buyers – i.e. 78 percent. There has also been a rise in Turkish investors, whose numbers rose from 241 a year earlier to 402, closing in on the Russians in second place with 428 permits secured through the program. The bulk of properties purchased through the program are in Attica, which drew 78 percent of buyers, leading to the issuing of 3,262 residence permits. Halkidiki was a distant second, with 205 property sales there having led to the issue of Golden Visas.